Water leaks not only destroy structures and items inside of your home but also the exterior of your home. Water leaks, interior and exterior, also lead to staining, mold and mildew forming as well as odors. A leaking sewer or water supply line leak under your house is just as destructive as a leaking roof or a sink overflowing. Detect and repair water leaks under your house as soon as possible. 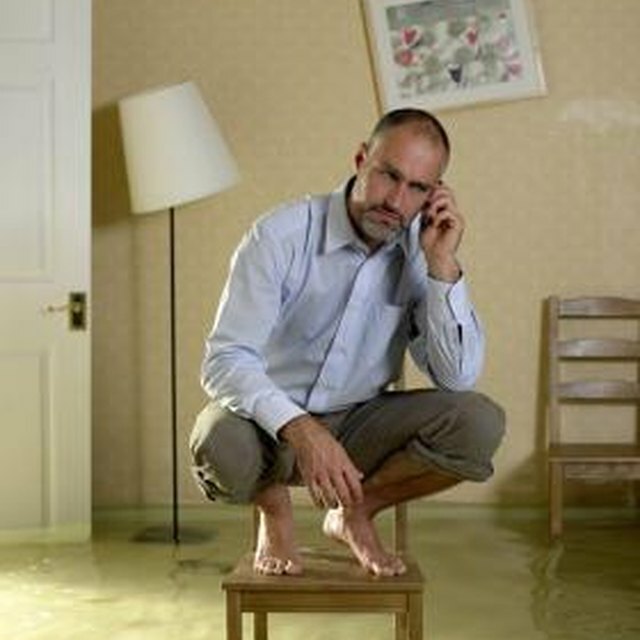 Water leaks under your home can lead to cracks and other issues with your home's foundation. A soggy yard is one type of damage a water leak under you house can cause. Water from a leak under your home can also cause the soil to wash away, water puddles to form and the grass to wash away. Any flowers in the yard will also wash away. If the water continues to leak, your entire yard can become soggy and any tree or bush root structures will start deteriorating. A leaking pipe or other water leak can cause the soil around your home's foundation to become weak and wash away, resulting in your home tilting to one side. Water can also cause the soil to swell up and the foundation itself to rise --- a condition known as heaving. Once heaving occurs, you will notice cracks in your home's walls, cracks along the foundation itself, doors and windows shifting to one side and one side of your home sinking downward. If your home is sitting on a concrete slab as its foundation, you will notice the slab being higher in the center and slopping downward on the sides --- known as domes. A water leak under your house can also seep into your basement, if one is present, and damage the basement's walls, floor and any items inside of the basement. The water can also cause your basement to have a musty odor. Leaking water also leads to an increase in humidity resulting in mildew, mold and musty odor problems. As the water is leaking under your home, the moisture travels upward into your home causing wood rot, paint failure on interior/exterior surfaces and a variety of respiratory and health problems. Locate the leaking pipe(s) and repair them immediately to keep the damage to a minimum. Place fans or open all doors and outlets under your house so the space can dry out. The Restoration Resource: Water Damage at Home -- Is It Already In Your Kitchen? What Is the Best Way to Seal an Opening Between the Top of an Exterior Wall & an Overhang? What Causes Mold to Get on Basement Walls?